The Toshiba IK-HR1D Ultra Compact HD-SDI 1080p/60 FPS CMOS Camera uses a 1/3" CMOS 2.1 MP sensor to capture images at a resolution of 1920 x 1080 pixels and at a speed of 60 frames per second. The results are images with a high degree of clarity and color fidelity. Because of its progressive scan sensor, the IK-HR1D also captures moving objects with little or no motion artifacts. 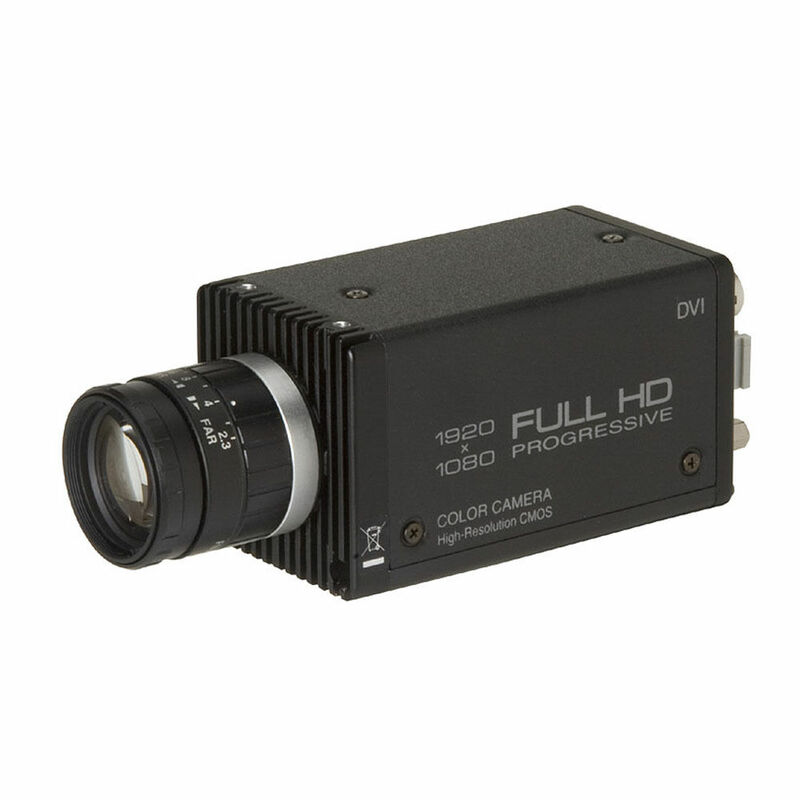 An HD camera that is also ultra compact and lightweight can make for a powerful monitoring tool in a wide range of conventional and specialized imaging applications. It can be used in sports, entertainment, wildlife, scientific, medical and numerous other industries needing the sharpness of HD video along with the versatility of a compact camera. The IK-HR1D features a single DVI-I port that can be set to output a digital signal at 1080i/1080p (8bit X RGB) or an analog signal for interfacing the camera with analog equipment via a DVI-I to RGB adapter cable. The camera also features automatic and manual shutter, gain, white balance, and gamma controls in addition to 5 scene file settings. Box Dimensions (LxWxH) 6.7 x 4.8 x 3.9"